Dozens of civilians and surrendering militants have used humanitarian corridors set up by Russian and Syrian military in the besieged city of Aleppo, Russia’s Defense ministry said on Saturday, adding that four more corridors are to open soon. Since then, 169 civilians have used the corridors, as well as 69 militants, who chose to lay down arms, Lieutenant-General Sergey Chvarkov, the head Russian reconciliation center in Syria, said. According to the general, 59 people, who were previously held hostage by rebels and terrorists, received qualified medical assistance. "In the areas of those humanitarian corridors we have equipped stations with hot food and medical assistance. 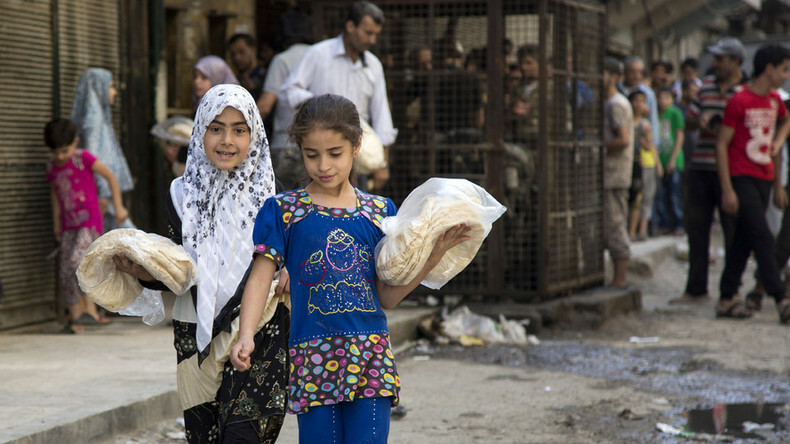 The Syrian authorities have prepared six centers of humanitarian assistance, which can accommodate and satisfy needs of more than 3,000 people," he stressed. On Saturday, 52 civilians and 24 fighters have fled the rebel-held areas of the city, Chvarkov said, according to TASS. "In addition to the existing corridors, we are organizing four more humanitarian corridors," the general said. 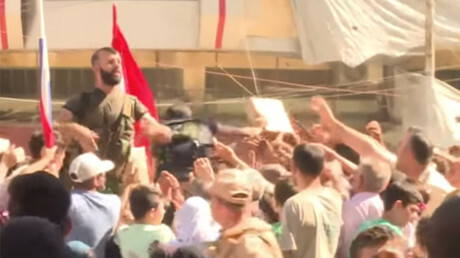 The civilians, who made it out of the besieged areas, told Syria TV about the hardships of living under the militant control. “We suffered and walked a lot, may God curse the rebels. They did not leave food or medicine and by the time we left it was not easy,” another Aleppo resident added. Syria’s largest city, Aleppo, has been divided between the government forces of President Bashar Assad and militants since 2012.